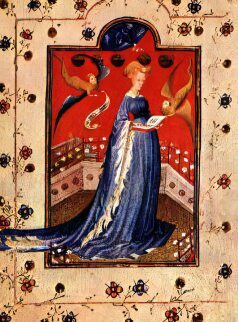 Mary of Guelders, Queen of Scotland. Mary of Guelders was born circa 1434 at Grave in the Netherlands, she was the daughter of Arnold, Duke of Guelders, and Catherine of Cleves. Catherine was a great-aunt of Henry VIII's fourth wife Anne of Cleves. When she was twelve years old, Mary was sent to Brussels to live at the court of her great uncle Phillip, Duke of Burgundy and his wife Isabella of Portugal, where she served as lady-in-waiting to the Duchess of Burgundy's daughter-in-law, Catherine of Valois, the daughter of Charles VII King of France. James III of Scotland (1451-1488). Alexander Stewart, Duke of Albany (c. 1454 - 1485). David Stewart, Earl of Moray (c. 1456 - 1457, created Earl of Moray on 12 February 1456. John Stewart, 1st Earl of Mar and Garioch (c. 1459 - 1479). Mary Stewart (May 1453-May 1488) - married first Thomas Boyd, 1st Earl of Arran, and secondly James Hamilton, 1st Lord Hamilton. She became the mother of James Hamilton, 1st Earl of Arran. Margaret Stewart -married William Crichton, 3rd Lord Crichton of Auchingoul. She became the mother of Margaret Crichton and mother-in-law of George Leslie, 4th Earl of Rothes. In 1460, James involved himself in the English dynastic struggle, the Wars of the Roses, placing his weight behind the Lancastrians, his mother, Joan Beaufort's family, and hoping for some personal gain, he attempted to recover Roxburgh, one of the last Scottish Castles held by the English since the Wars of Independence. On 3rd August, 1460, while in the course of attacking the town, a cannon exploded killing the King of Scots outright. Lindsay of Pitscottie wrote in his history of James' reign "as the King stood near a piece of artillery, his thigh bone was dug in two with a piece of misframed gun that brake in shooting, by which he was stricken to the ground and died hastily." James was succeeded by his young son, James III and Scotland once again had a minor for its King. James III was crowned on 10 August and Mary was given official custody of the King and acted as regent. Mary appointed Bishop Kennedy as her chief advisor, Mary at first wished to pursue a policy of playing off the warring parties of Lancaster and York against each other, while the bishop prefered to form an alliance with the Lancastrians. Following the decisive Yorkist victory at the bloody Battle of Towton in Yorkshire, the Lancastrian Queen, Margaret of Anjou fled north across the border to seek refuge in Scotland. Mary was sympathetic to Margaret's plight and took her son Edward of Westminster into her household. Mary provided Margaret a force of Scottish troops, the two women arranged the betrothal of Edward of Westminster, the only son of the captive King Henry VI of England to James III's sister, Margaret Stewart. In return, Mary asked for the border town of Berwick which Margaret agreed to. Relations between the two women began to deteriorate, however, with the increasingly friendly alliance between the new Yorkist King of England, Edward IV and Duke Philip of Burgundy, who had become Edward's brother-in-law after his marriage to Edward's sister, Margaret ofYork. Mary's support for Margaret of Anjou , threatened the alliance of Duke Philip and King Edward against the French King Louis XI. King Edward IV tried to put a stop to Mary's support of Margaret by proposing marriage to the widowed queen, which Mary rejected. Her uncle, Duke Philip, put pressure on her to call off the betrothal of Margaret of Scotland and Edward of Lancaster. In 1462, Mary paid the Lancastrians to leave Scotland and made peace with Edward IV. She also hinted at the possibility of a marriage between herself and the new English king. 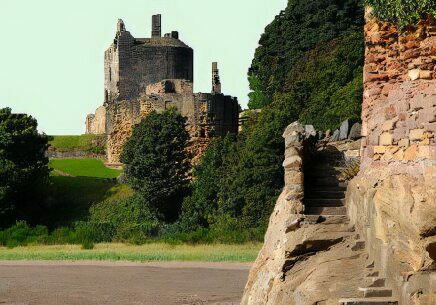 Mary continued with James II's plan to build a castle on land at Ravenscraig, designed to withstand the use of artillery, and lived in it while it was under construction until her death. Mary died at Roxburgh Castle on 1 December 1463 at the age of twenty nine. She was buried at Trinity College Church, Edinburgh, which she had founded in memory of her husband, although her remains were moved to Holyrood Abbey in 1848.